Noël, Alain. "Bloc Québécois". The Canadian Encyclopedia, 17 April 2018, Historica Canada. https://www.thecanadianencyclopedia.ca/en/article/bloc-quebecois. Accessed 21 April 2019. The first test for the Bloc Québécois was the 1992 referendum on the Charlottetown Accord (see also Charlottetown Accord: Document), when the party contributed to the No side's 57 per cent victory in Quebec. Then, in the October 1993 federal election, the Bloc obtained 49.3 per cent of the Quebec vote and 54 seats — enough to form the Official Opposition in the House of Commons. In the months leading up to the 1995 Quebec referendum on sovereignty, the party played a critical role in convincing the Parti Québécois, led by Jacques Parizeau, to specify in the referendum question that a partnership offer would be made to the rest of Canada. 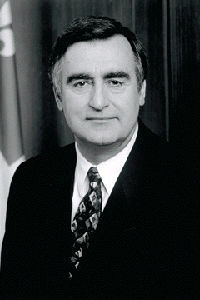 Lucien Bouchard was also a key figure in the referendum campaign, which resulted in 49.4 per cent of the vote for the Yes side. Upon Lucien Bouchard’s departure from the Bloc Québécois, he was succeeded as leader by Michel Gauthier, who was himself replaced by Gilles Duceppe in March 1997. In the 1997 federal election, the Bloc suffered a setback but still obtained 38 per cent of the Quebec vote and 44 seats. Duceppe worked extensively during the next three years to fight the Canadian government’s passing of Bill C-20, the federal Clarity Act. The Jean Chrétien government presented the Bill in response to the Supreme Court’s Quebec Secession Reference, which stipulates that "political actors" are responsible for determining, among other things, what constitutes a clear question and a clear majority following a province or territory’s referendum on secession from Canada. The Bloc's representation dropped to 38 seats in the 2000 election. It was the first time since the 1982 patriation of the Constitution that the Liberal Party held the majority of seats in Quebec. Between the 2000 and 2004 elections, the Bloc promoted its mandate to Québécois and denounced federal intervention in provinces’ exclusive jurisdictions. It supported the Kyoto Accord, the legalization of marijuana and gay marriage in Canada (see Lesbian, Gay, Bisexual and Transgender Rights in Canada). Its role in exposing the misuse of federal funds in Quebec — what is now known as the "sponsorship scandal" — was its most significant action during this time (see Gomery Inquiry). This scandal had a decisive impact on the Quebec vote in the subsequent two elections in 2004 and 2006. The Bloc's 2004 federal election campaign focused on offering Québécois an alternative to what party members believed was a corrupt federalist system, and its slogan, Un parti propre au Québec (literally "A party specific to Quebec"), reinforced that it served the best interests of the province. Ultimately, the party won 54 seats in the House of Commons, its highest number since 1993. Along with the New Democratic Party, it solidified its position of power in a minority government, potentially gaining the most influence it has ever enjoyed in federal policy. Duceppe maintained that the Bloc would not participate in a coalition government. Similarly, the Bloc's 2006 election campaign centered on providing an alternative to possible federalist corruption, bolstered further by the findings of the Gomery Inquiry. With its slogan, Heureusement, ici, c'est le Bloc ("Thankfully, the Bloc is here") the Bloc hoped to obtain over 50 per cent of Quebec votes and more than 60 seats in the House of Commons. Ultimately, Bloc candidates obtained 6 seats previously belonging to the Liberals, but the resurgence in the Conservative Party's popularity in Quebec resulted in a loss of a total of 3 seats from 2004, leaving the Bloc with 51 seats and 42 per cent of Quebec support. As in 2004, Canadians elected a minority government and Duceppe insisted that he would not unite with any federal party. The Bloc maintained their political mandate leading up to the 2008 election, pressuring Prime Minister Stephen Harper to address the fiscal imbalance between the provinces, particularly in the case of Quebec. Duceppe petitioned Harper to recognize Quebec as a nation in the Canadian constitution. A motion recognizing Quebec as a distinct nation within a united Canada had already been passed by the House of Commons in 2006. The Bloc's platform leading into the election centered on Quebec's ability to manage its own culture and economic stability, as well as its own approach to the penal system and the system's young offenders (see Juvenile Justice System; Youth Criminal Justice Act). 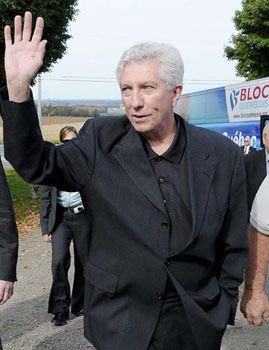 On 14 October 2008, the Bloc secured 51 seats in what Duceppe called a victory "toward real progress" — a main factor in denying a Conservative majority government. Mere weeks following the general election, Harper's Conservative government launched a series of controversial economic proposals, spurring the three opposition parties — the Bloc, the Liberal Party and the NDP — to begin talks regarding a coalition to defeat the Conservatives in a vote of non-confidence. On 1 December, the three-party leaders committed, in an historic accord, to introduce a non-confidence motion as early as the following week. Ultimately, Harper's request to prorogue government was granted by Governor General Michaëlle Jean and the durability of the coalition became questionable. The 2011 election, held on 2 May, saw the Bloc Québécois fall to the "orange wave" of NDP support that swept through Quebec. The Bloc, which succeeding in electing only four candidates and earning 24 per cent of the vote, lost its official party status in the House of Commons. Party leader Gilles Duceppe was defeated in his riding of Laurier-Sainte-Marie and resigned from a 14-year career in the party that evening. 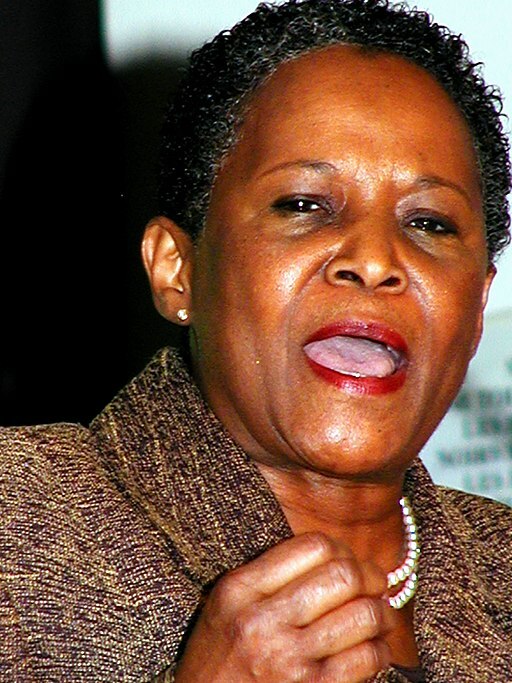 Vivian Barbot, former president of the Fédération des femmes du Québec (2001–2003) and the first Haitian woman elected to the House of Commons, became the Bloc's interim leader. President of the Fédération des femmes du Québec (2001-2003), Member of Parliament (2006-2008), leader and president of Bloc québécois (2011). Following a leadership race, Daniel Paillé was elected leader of the Bloc Québécois on 11 December 2011. In February 2013, an MP from the NDP crossed the floor to join the Bloc caucus, bringing its membership up to five. In September 2013, in the midst of the debate surrounding the Quebec values charter, MP Maria Mourani was expelled from the caucus for opposing the Parti Québécois-led initiative. Following Daniel Paillé's surprise resignation in late 2013, the Bloc held a little-publicized leadership race, which Mario Beaulieu won in June 2014. Since August 2014, however, Beaulieu's leadership has been contested, with two Bloc MPs leaving the party to sit as independents. In May 2015, Mario Beaulieu, who had become leader of the Bloc Québécois in June 2014, asked Gilles Duceppe to return as party leader in advance of the 2015 federal election. Polls consistently showed that the Bloc had less than 20 per cent support in Quebec, and many felt that Duceppe could revive the party’s flagging fortunes. On 10 June 2015, Duceppe announced he was returning as leader of the Bloc Québécois, while Beaulieu would remain party president. During elections held on 19 October 2015, the Bloc improved its representation in the House of Commons by electing 10 members. Nevertheless, this result remained insufficient for the party to be officially recognized by Parliament (the minimum threshold being 12 MPs). Defeated in his constituency and disappointed, Gilles Duceppe stepped down as leader of the party. Rhéal Fortin succeeded him as interim leader. 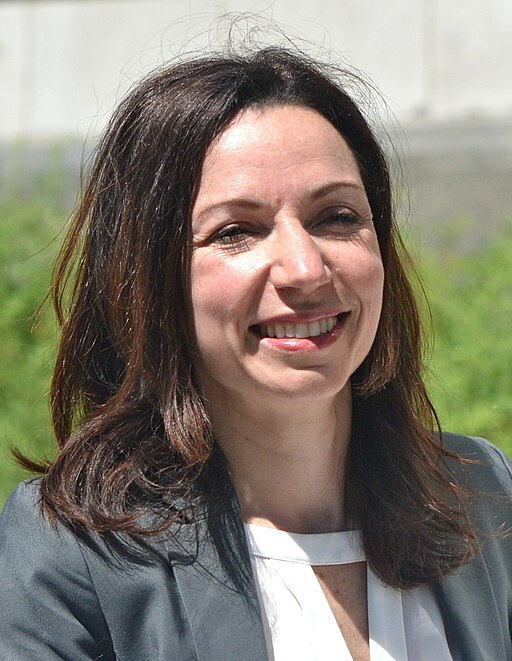 In March 2017, the former Minister of Natural Resources of Québec (in Pauline Marois’ government from 2012 to 2014) Martine Ouellet became head of the Bloc Québécois, while keeping her seat in the National Assembly of Quebec. Re-elected in 2014 under the Parti Québécois banner, she now sits as an independent MP. At the end of February 2018, less than a year after her arrival at the party leadership, the Bloc faced an internal crisis, leading to the departure of seven out of ten members of the caucus. These members questioned her leadership and demanded she submit to a vote of confidence before the next party convention in May 2019 (which she refused, with the support of the party's National Bureau). Although unlikely, the dissident MPs suggested as a solution to the crisis the possibility of founding a new party for the next federal election.